Bid bye-bye to braces with noticeable metal brackets and wires. Discover the discreet way to straighten teeth with the clear braces called Invisalign®. See why this alternative to metal braces may be the right choice for you. Invisalign has become a popular alternative to metal braces because it can straighten your teeth without the stigma and discomfort of traditional metal braces. Invisalign uses advanced dental technology to create clear, customized sets of appliances that steadily shift teeth into their proper position. While metal braces are attached to the teeth, Invisalign is removable to ease eating, brushing, and flossing. These clear braces are barely noticeable, which has made them an attractive alternative to metal braces for people of all ages seeking a subtler straightening solution. See an Invisalign provider to see if clear braces are right for your dental case and concerns. If clear braces are an option, your Invisalign provider will craft your customized treatment plan. This treatment plan will be translated by advanced computer technology to create and calibrate your customized set of clear braces. 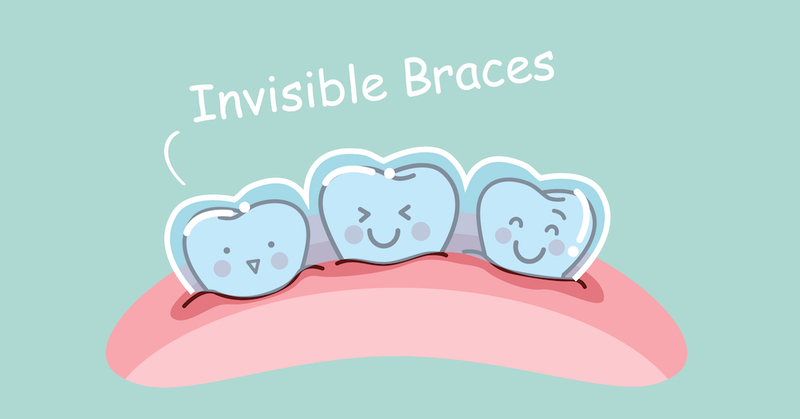 After wearing each set of clear braces, you’ll be left with straighter teeth and a much more attractive smile.